The app lacks many of the bells and whistles found packaged with most cameras apps these days. There’s no video, no selfies with the front camera, no AI, and no fancy modes (e.g. panorama or portrait mode or studio lighting). What the app does have is a sharp focus on creating still photos. The live view itself doesn’t have information or buttons overlaid on it, providing a clean view of what you’re framing. There are professional-level controls that include manual exposure and focus, compensation and locks, focus peaking, and adjustable auto ISO. Smart Function Keys allow you to put your most used functions at your fingertips. Functions can also be customized: you can do things like change the direction of the shutter speed dial or choose the sides of the screen used for exposure compensation and manual focusing. He fearlessly shot his new film “Tangerine” entirely on the iPhone 5s. It dazzled audiences and critics when it premiered at Sundance 2015 and is now being released theatrically. It looks great on the big screen and has energy and style to burn. Using the iPhone was the most affordable way to shoot Tangerine, and turned out to be the very best way to make it. Baker shot his first feature “Four Letter Words” in 1996 and finally finished it in 2000. Made for $80,000 with 35mm short ends, it’s the only movie he has done on film. In 2004, he shot “Take Out” on standard definition video for $3,000 and “finished it with favors.” In 2008, he made “Prince of Broadway on HD” for $45,000. Then in 2012, he completed “Starlet,” which was filmed in HD on a $235,000 budget. “Starlet” received enthusiastic reviews, won the Robert Altman Award at the Independent Spirit Awards and was distributed by Music Box Films. After the success of “Starlet,” “something almost happened,” Baker explained. Having made four features that received steadily increasing recognition and distribution, he hoped he could finally access much higher levels of financing. Only interested in directing his own scripts, Baker has been unwilling to work as a director for hire on films he didn’t write. It looked like his script “Caviar” about the Russian-Armenian underworld in Brooklyn was going to be financed for between $10 and $15 million. After waiting 1 1/2 years for the money to arrive, Baker decided he would have to return to the world of micro-budget filmmaking. He contacted Mark Duplass, who agreed to put together the financing for a new film set in the world of transgender prostitutes. Baker committed to make it for less than half the cost of “Starlet” (i.e. under $117,500). We share over 1.8 billion photos per day, and thanks to the ever-growing technology in cameras paired with the expansive world of social media platforms it’s become increasingly easy to add the title “photographer” to the resume. Apple has searched high and low for the world’s absolute best photographers and their work that spans the planet. The “Shot on iPhone 6” World Gallery features photos from creatives spanning 70 cities in 24 countries, and brings the mobile photography community front and center proving again that the best camera is the one that’s with you. Apple has launched a beautiful ad campaign featuring photos captured on the new iPhone 6 looking to highlight the best of the best. Owners of the iPhone had submitted their top shots and Apple selected their favorites to be featured on the website’s front page. The incredible photos were captured from the United States, Canada, Japan, South Korea, China, New Zealand, and many more countries. Having made a living shooting solely with my iPhone, it’s inspiring and a continued push for me to learn all that I can about simply taking great photos with the tools I am given, rather than relying on gear dictating what I create. Apple is a company renowned for making products that are not only functional, but also beautiful. When you buy an apple product you’re buying something that’s been crafted as opposed to being cobbled together. Overseeing design at Apple is Jony Ive, the London-born designer who has worked up the ranks at the company since 1992 to take the post of senior vice president of design. Given Apple’s design heritage, and Ive’s customarily well-calibrated eye, I have to wonder how this carbuncle came to adorn the iPhone 6. Say hello to 4K video recording with the iPhone… but first you’ll need a 5S model and a cool $999. That’s how much you’ll need to pay in the App Store to purchase Vizzywig 4K, which touts itself as the world’s first mobile app that lets you capture, edit, and distribute 4K video. The app is designed specifically for iOS 7 on the iPhone 5S, which has a default video resolution cap of 1080p. VZ4K, as it’s known, allows you to capture 4K video by shooting 4K-resolution photographs at a rate of 24 photos a second while recording synced audio on the side. Are the iPhone 6 and iPhone 6 Plus the best camera phones ever? Apple busted out its iPhone 6 and the larger iPhone 6 plus today and — amongst the talk of larger screen sizes, faster processors and sleeker designs — what has us most excited is the updated camera technology. The cameras on the iPhone 6 and 6 Plus could be the only snappers you’ll ever need, if Apple’s hype and early previews are to be believed. Here’s what we know about the integrated cameras so far. Both the iPhone 6 and 6 Plus use an all-new sensor. Like the one on the iPhone 5S, it’s an 8MP unit, with 1.5-micron pixels and an F/2.2 aperture, but it now lets in 80 per cent more light and comes with phase detection autofocus, like you normally get on DSLR cameras. 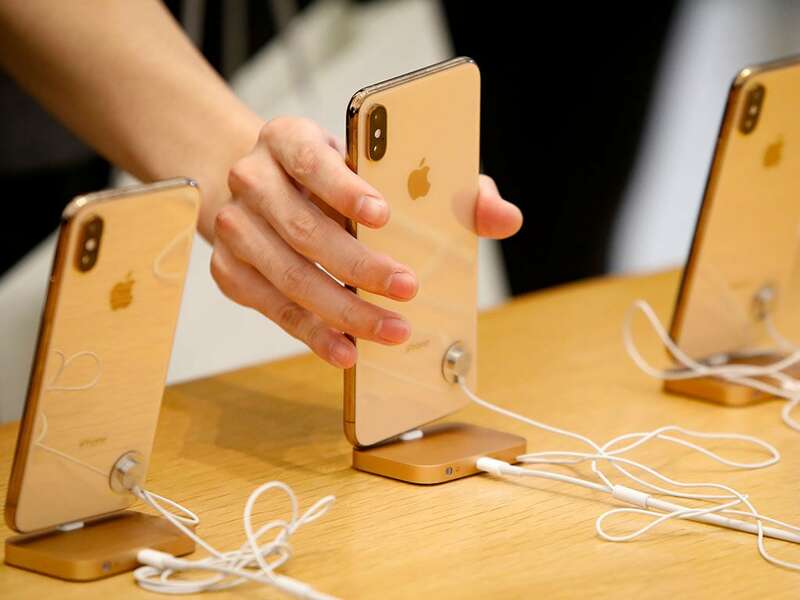 According to Apple, the tech uses dedicated pairs of pixels that read light coming in from objects and can tell whether they are in or out of phase, allowing for autofocusing that is twice as fast as the previous-generation phone. Focus changes are now almost imperceptable, both in stills and video modes. The 120fps slow motion feature on the iPhone 5s was jawdropping, allowing users to capture video in slow motion. iPhone 6 and iPhone 6 Plus take things to the next level with a 240fps slo-mo mode that lets you slow things down by twice the amount. If Matrix-style bullet time effects are your thing, then you’re going to love this mode – it looks absolutely stunning. HDR is a handy feature on the iPhone 5s, but it leaves behind multiple versions of a single photo. With iPhone 6, you only get a single shot left behind, so there’s less tidying up to do when you’re finished snapping. The cameras in the iPhone 6 and 6 Plus are almost identical – almost. Where the 6 Plus differs is in its ability to offer impressive image stabilisation. Not only does this promise to improve pictures taken by those with shaky hands or those operating in low light conditions. Some of the low light shots demonstrated by Apple during the iPhone 6 reveal were stunning. Check out the picture of the two girls above to see what we mean. I just found this new HDR App from Lucky Clan on iTunes. I have just downloaded it and at the moment it is free. Click the link above to download from the iTunes store. TriggerHappy Remote: Allows Canon DSLRs 9 brackets! Works with Nikon! I have been a happy user of the Promote Control for some time. This new system for utilizing the iPhone as a remote device for Canon or Nikon DSLRs is looking quite good and allows for up to 9 bracketed exposures for HDR photography! I just became a backer and ordered mine!